The photos show all work in progress and complete. 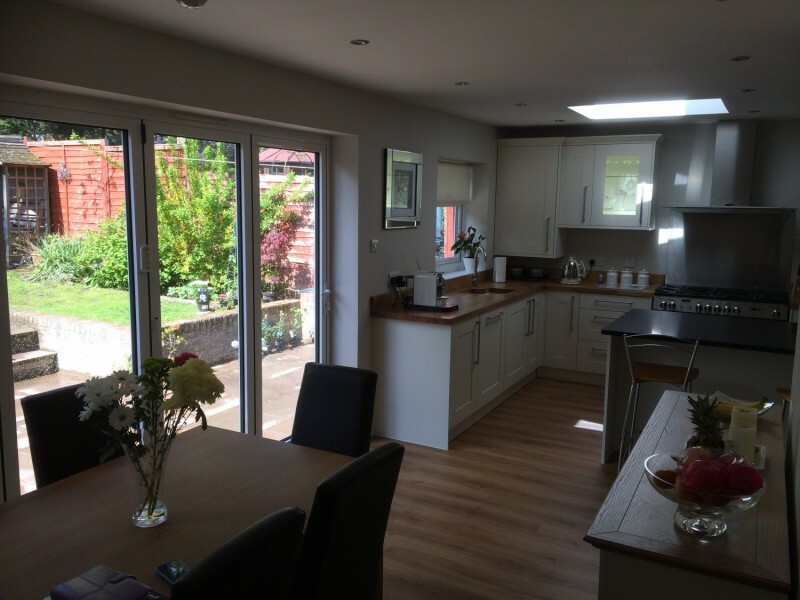 A 2 storey side extension that tied into an existing rear extension and would give our client much better living accommodation to the ground floor and better size bedrooms plus a second bathroom to the first floor. Initially we suggested some revisions to the original planned layout. The original design was for one big bathroom and a store room (because fire regulations wouldn’t allow for this space to be classed as a bedroom). 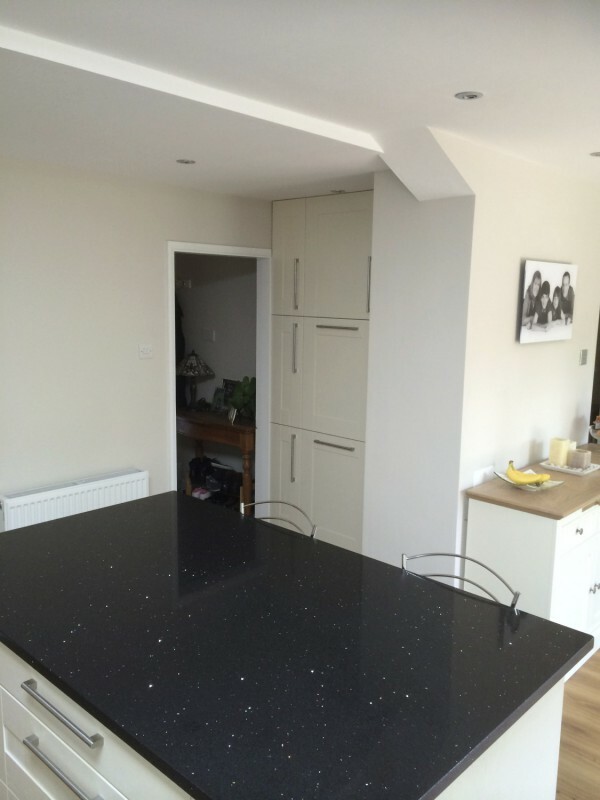 We suggested some alterations to the internal layout which allowed the client to benefit from an additional bathroom and an additional bedroom that met with fire regulations. 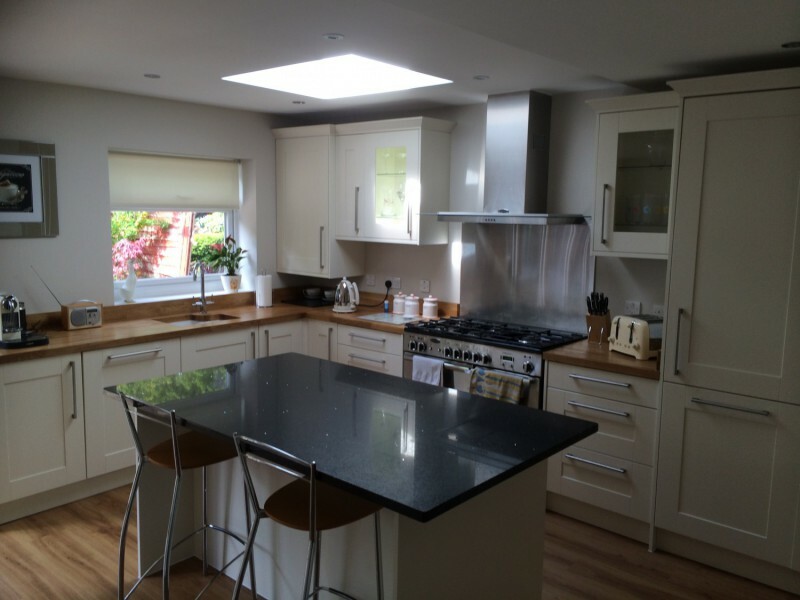 This not only saved the client money but also increased the value of their property. It was a very tight working site as you can see from the photos.